Tiberius Julius Mithridates was a Roman Client King of the Bosporan Kingdom from 38 AD to 46 AD. He was the first son of Roman Client Monarchs Aspurgus and Gepaepyris. His younger brother was prince and future King Cotys I. Little is known on the early life of Mithridates. 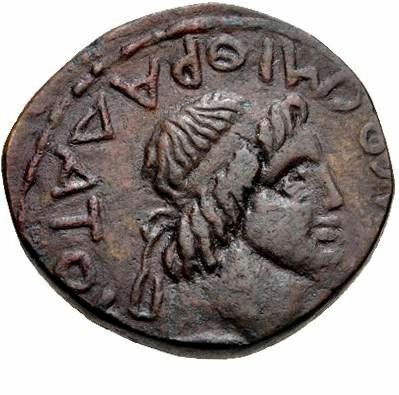 When Aspurgus died in 38, Mithridates had become joint ruler with his mother, Gepaepyris. Sometime before 45, the Roman Emperor Claudius, had given Mithridates the whole Bosporan Kingdom to rule. Claudius recognised and appointed him as the legitimate Bosporan King. In 45 for unknown reasons Claudius, deposed Mithridates from the Bosporan throne and replaced him with his younger brother Cotys I.
Mithridates despised the situation. He mistrusted Cotys I and attempted to regain his throne. He was able to entice the leaders of the local tribes and deserters into his allies. He seized control of the local tribes and collect an army to declare war on his brother, but was defeated. He was sent to Rome as a prisoner, but was spared thed death penalty and lived the rest of his life in exile.